Emerald rings make for a classy present, especially if it is for an engagement and much more if it so happens that emerald is your fiancée’s birthstone. Emerald and diamond rings have been in vogue for long as the two gems complement each other very well. The sparkle of natural diamonds accentuates the luscious green of the emerald. There is still more reason for the timeless appeal of the emerald and diamond jewelry after all diamonds are a girls best friends as they say and because the precious emerald gemstone sits well with any skin tone. The sheer number of shades of green available among emeralds is mind boggling, so there is just the right color for everyone! It also beats a plain Jane diamond only, hands down any day! Emerald with diamond halo ring has a forever appeal. 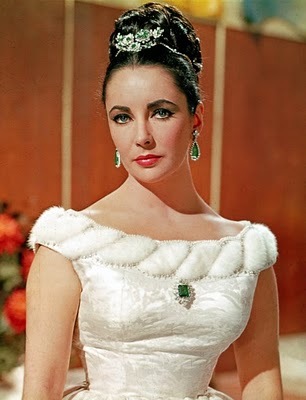 Whether it is Elizabeth Taylor’s breathtaking jewels, Victoria Beckham’s panache, Mila Kunis’ sultriness or Angelina Jolie’s matchless style statement, emeralds are fancied by one and all. The color ’emerald green’ that has been named by Pantone as the Colour of the Year 2013 is a color for all seasons and emerald jewelry is for all occasions. The soothing green represents hope, freshness and the power to rejuvenate. The emerald gemstone in astrology is regarded as a powerful gem itself has the power to heal emotional hurts and to enhance the creativity of the wearer. Featured today is a custom made emerald with diamond halo ring. The centre piece is a 1.59 carat fine treatment free Colombian emerald. This natural emerald is classic octagonal emerald cut and has a fresh early summer grass green color. 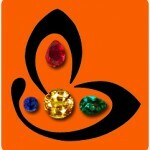 The emerald gemstone clarity is excellent and the gem also has good depth. 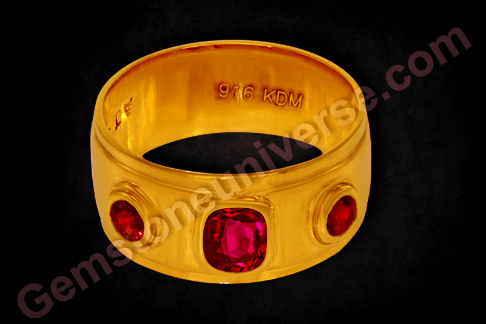 It is surrounded by a halo of diamonds with a combined weight of 73 points. 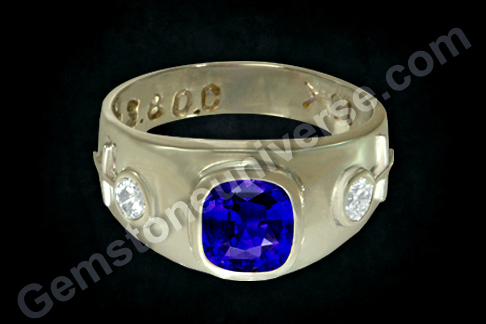 This ring was specially ordered by a patron who wanted to gift his bride-to-be, a birthstone engagement ring. 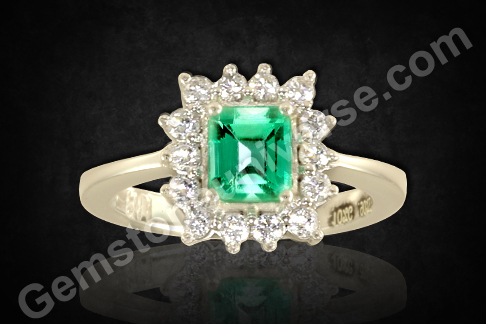 Natural Emerald also known as Panna stone in Hindi is the gemstone of planet Mercury or Budh. Natural emerald is the Birthstone for May-borns according to Western traditions. Gemstoneuniverse is glad to be a part of such momentous occasions in patrons lives and would be proud to create your special birthstone jewelry.